MP3 Splitter & Joiner Pro is an useful audio editor which builds MP3 Splitter Pro and MP3 Joiner Pro in one. you can split large MP3 MPA WAV files into multiple smaller pieces or merge multiple MP3 MPA WAV WMA OGG AIFF files to a larger one. It is easy to use with automatic split/merge mode and split by silence (automatic silence detection). With 'Batch Split' feature, you can split multiple audio files easily by just a simple click. With 'Partial Merge', you can merge any portions of audio files directly by just a simple click without export the portion in advance. It's able to merge and split audio files of extreme large size over 4GB. 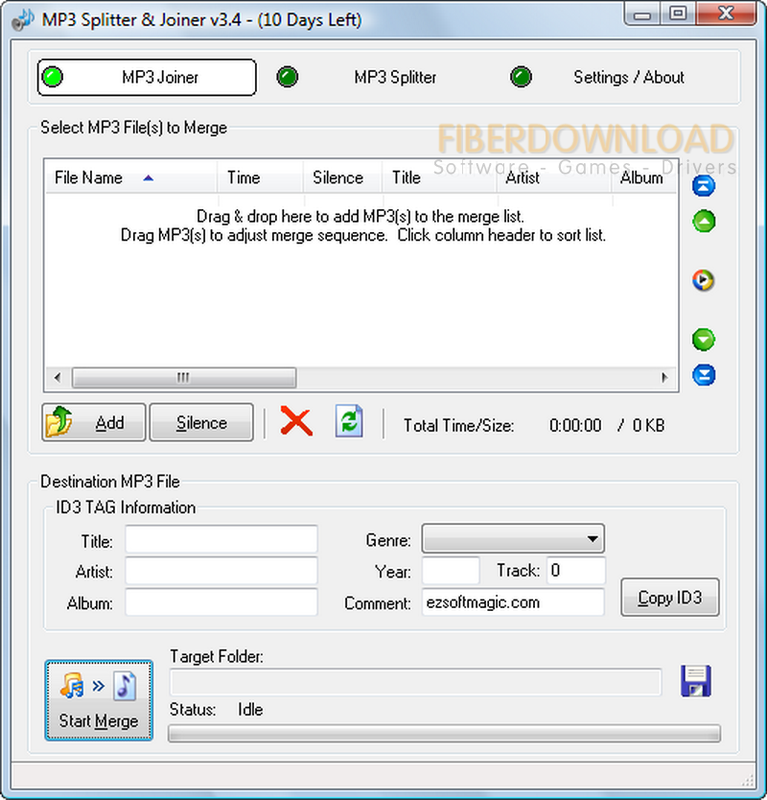 If you're looking for an application to help you for MP3 MPA WAV WMA OGG AIFF Splitting or Merging, you won't be disappointed by MP3 Splitter & Joiner Pro. • Split multiple audio files by just a click (batch split). • Auto detect the best split mode and merge mode. • Merge any portions of audio files directly (Partial Merge). • Merge and split audio files of extreme large size over 4GB. • Preview split tracks with build-in audio player before split. • Split audio files to equal segments either by time or by number of segments. • Visually and quickly get to the time you want to split at by slider bar. • VBR (Variable Bitrate)/VBRI MP3 files support. • Split audio file by CUE file directly. • Import/export/save track information from/to CUE files. • Edit and view MP3 ID3 TAG when splitting or merging.